It's the second week of small daughter's school holidays and ... it's raining. She won't mind at all as she's engrossed in a series of books which my brother and sister-in-law sent her called Noughts and Crosses by Malorie Blackman, who was the Children's Laureate from 2013-2015 so you'd expect the books to be good. I've been keen to expand the genre of books that she has been reading - up until now it's been the Jaqueline Wilson and Cathy Cassidy style of books which are quite similar in nature and have been an easy read for her, and I've wanted her to branch out a bit more, so enlisted their help in thinking of author ideas. 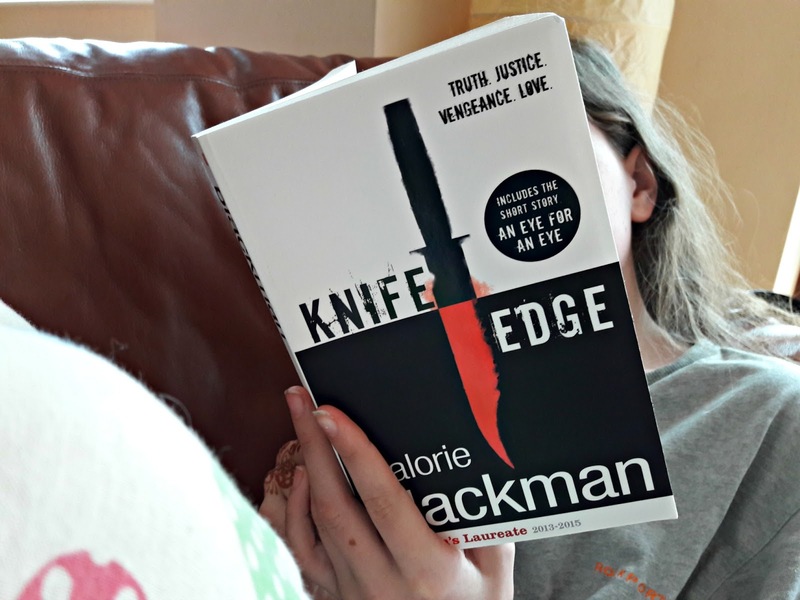 I've never read any of Malorie Blackman's books myself but small daughter is enjoying them so much that I might have to borrow them. Based on the story of Romeo and Juliet, these books have been really making her think and, even better, are expanding her vocabulary which is always a good thing. Being stuck indoors for bit is probably good for me too. I am making a concerted effort to get rid of more of the clutter in our house - I've got quite a pile in the garage ready to go to the charity shop, some things have been re-homed via eBay and others have found new homes with friends or friends of friends. I hate throwing perfectly good stuff in the dustbin for no reason which is why the decluttering takes me such a long time as I sort it all out and then it hangs around for ages whilst I try to re-home it. 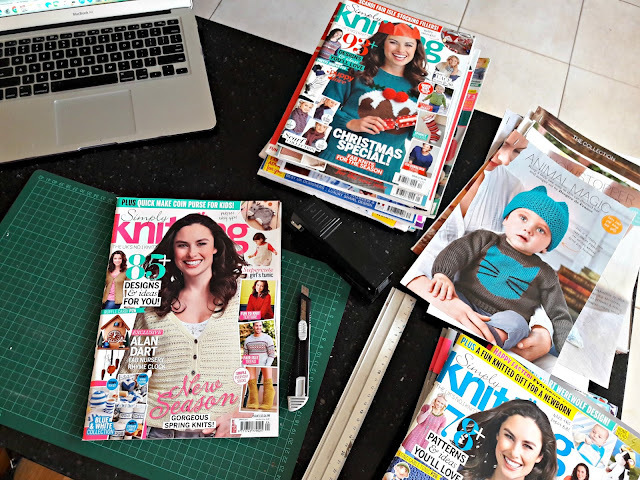 I've been making good inroads into my mountain of knitting magazines though - I've got over 10 years' worth of them stacked up because I might need something in them (does this sound familiar to anyone?) when I know that in reality I am just giving house room to outdated articles and advertisements and there's no way I'd be able to remember exactly which copy whatever I wanted was in. I've been promising myself for quite some time that I'll go through them and take out what I want to keep but of course have been putting it off - not least because I tend to see books and magazines as similar things and I could never bring myself to cut up a book (I found it hard enough at school when we were encouraged to write all over the books for our exam work!). 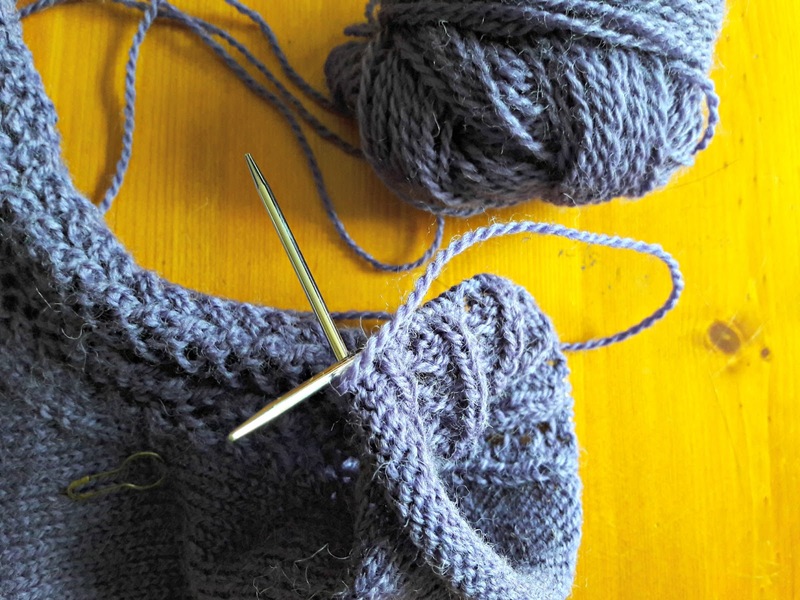 I have started though, and it's been a good excuse to catch up on podcasts whilst I'm at it. It's taking me much longer to do than I imagined although isn't that always the way? I am always convinced that these jobs will take about an hour and I'll be done with them ... 10 years' worth of magazines in an hour? Clearly I have delusions of decluttering super-powers! I am also making good progress with a couple of pairs of socks that I have on the go. 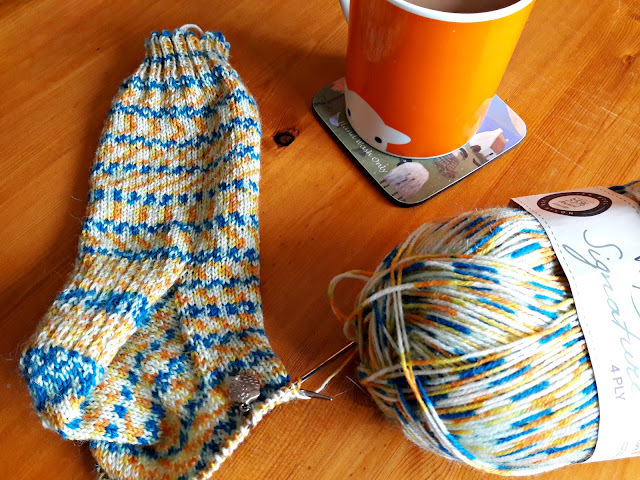 My tutorial sock is nearly done ... 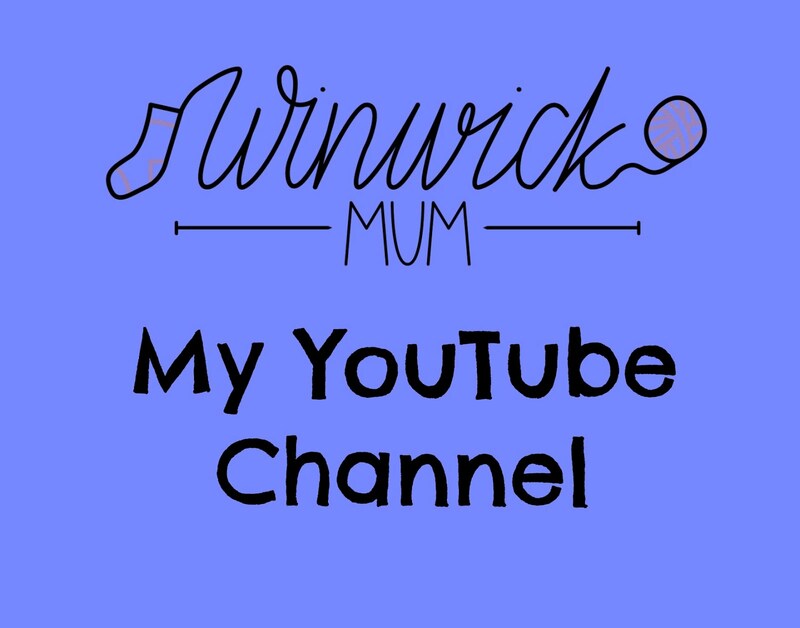 I have realised that making videos to go with the tutorials is a much slower process than taking photos, mostly because I try to put it off until the last possible moment but of course I then can't knit any more until I've filmed it! 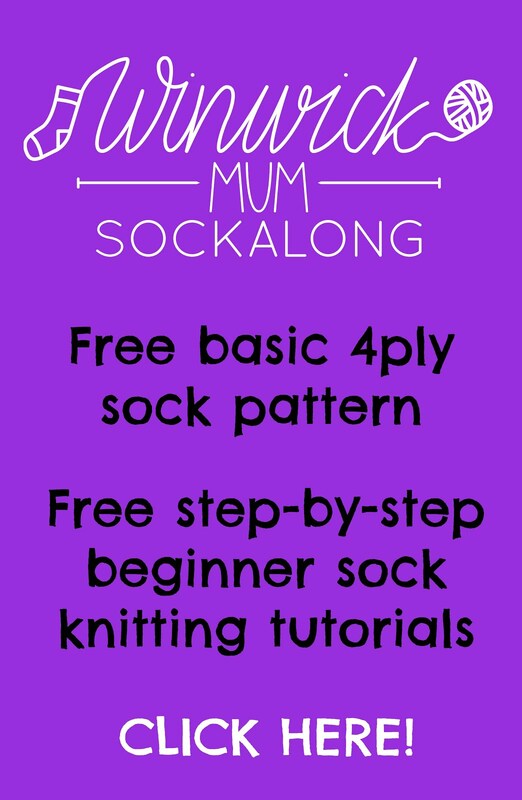 Anyway, I am on the home stretch now and I still have good intentions of this tutorial being ready for this weekend - although don't hold me to it! 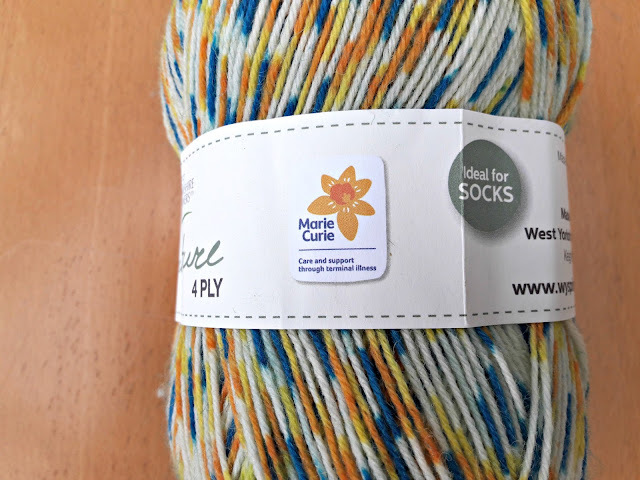 This yarn has been dyed in the colours of Marie Curie UK, a charity which supports people and their families who are living with terminal illness. 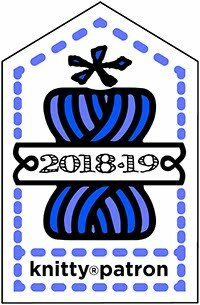 It's the chosen charity of Christine's Wool Shop/Cityknits whom, you might remember, I visited on Yarn Shop Day and who will be hosting a Tea Party to raise funds for the charity on Saturday 10 June from 10.00am to 4.00pm. They asked the lovely peeps at West Yorkshire Spinners if they would be able to dye a short run of their Signature 4ply yarn in the Marie Curie colours (Marie Curie have given them permission to do this) and this is what they came up with. 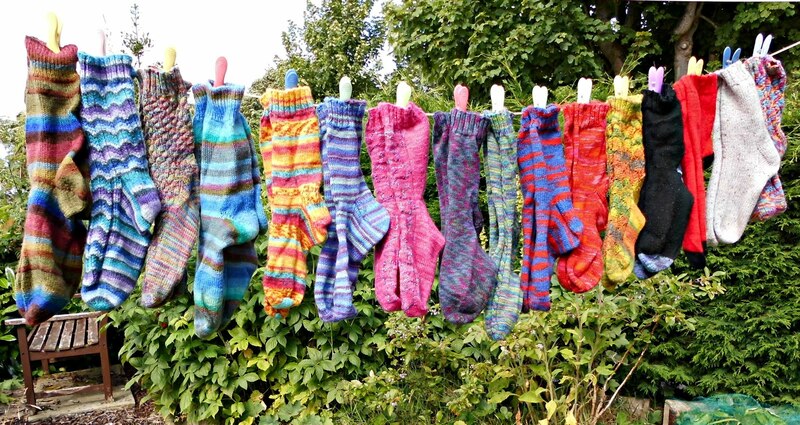 Isn't it clever what can be done with dye? 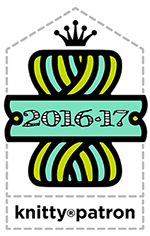 The idea is that the yellow sections represent the daffodils in the Marie Curie logo and on some of the stripes they do just look like that! 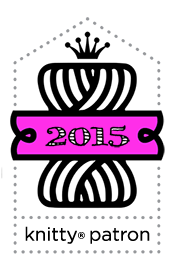 I think it's a wonderful idea to help raise funds for a very worthwhile cause. 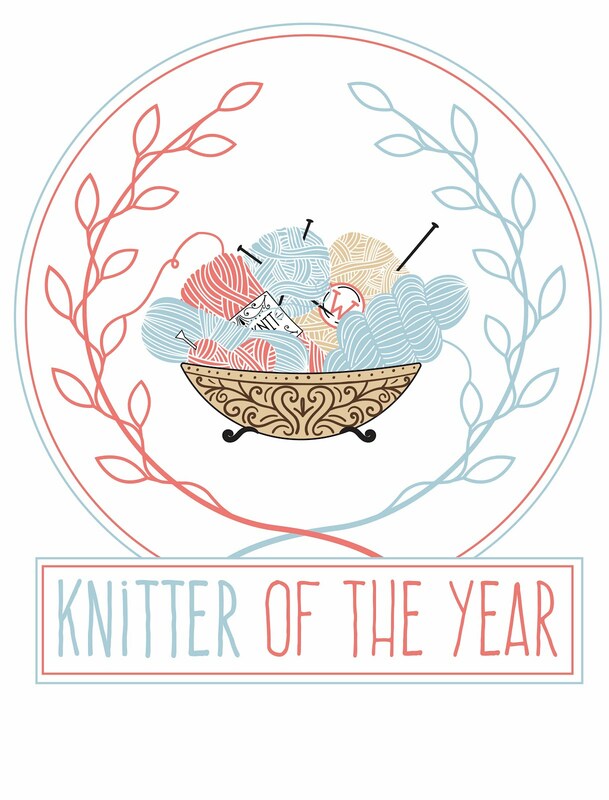 The yarn is being sold exclusively through Cityknits and at Christine's wool shop with £2.00 from every ball being donated to the charity, but you'll have to be quick as it's going fast! 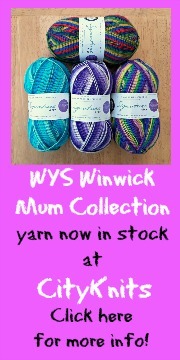 If you can't get to Christine's wool shop in Bournville to pick up some of the yarn in person, you can find it online here. 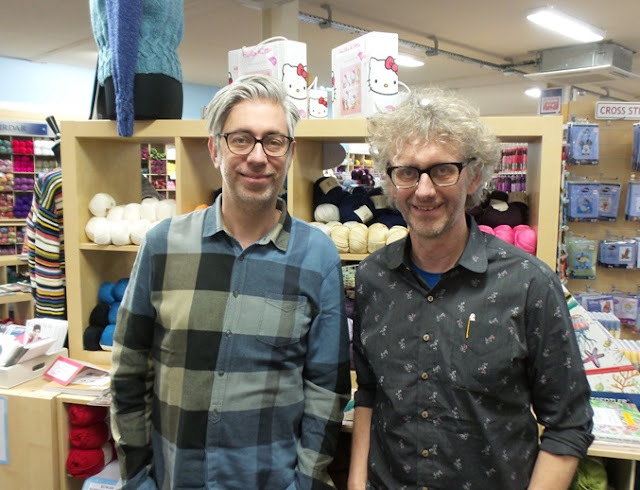 And in more yarn shop news, my local yarn shop Black Sheep Wools is hosting another visit from Norwegian knitting experts Arne and Carlos. 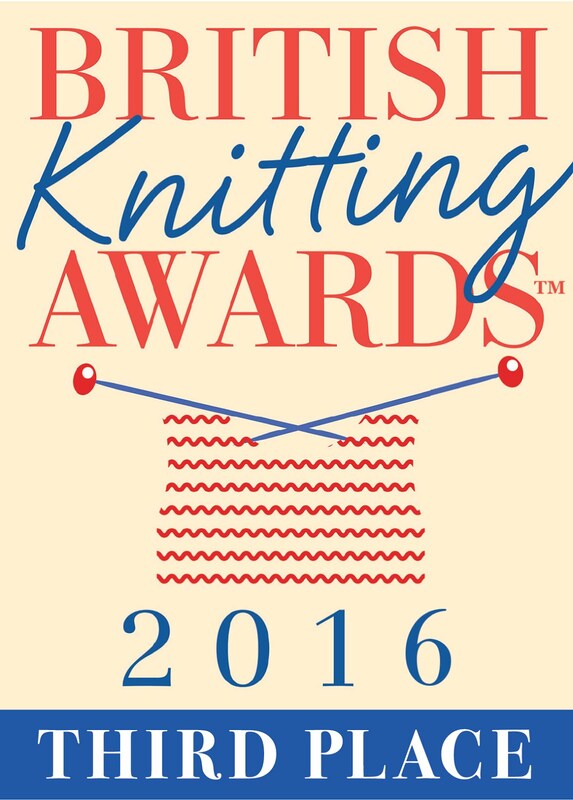 I was super-excited to meet up with them last year and am even more excited to be able to go and see them again this year when they'll be doing a workshop based on their new book, Field Guide to Knitted Birds. 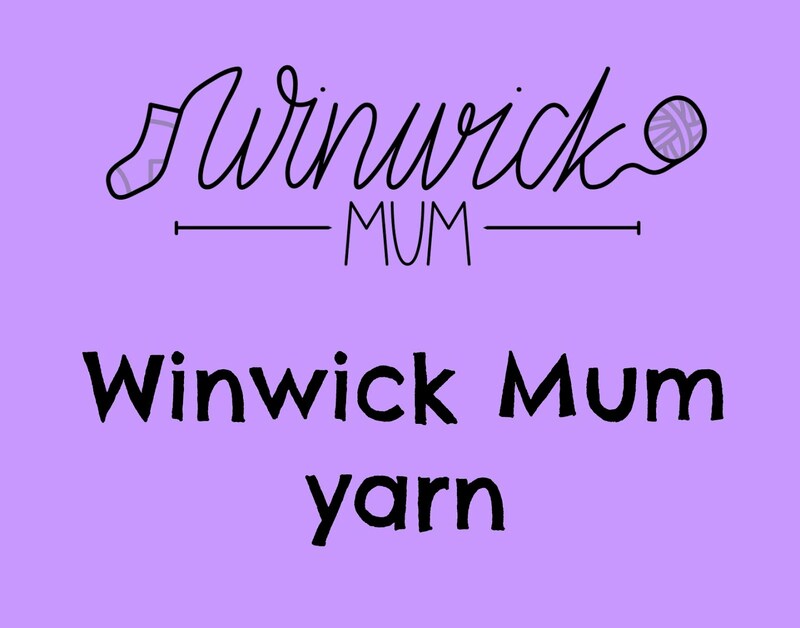 The workshop is sold out, I'm afraid, so if you don't already have a ticket you'll have to rely on me to tell you about it afterwards (yes, I do have a fabulous local yarn shop who invite me to their workshops and yes, I am very spoilt :) ) but I'll be sure to take lots of photos and let you see what went on. After the workshop, Arne and Carlos are going to be talking about their new book in the Craft Barn and will also be signing copies of their books (Black Sheep have them all in stock). The talk will be from 2.00-2.45pm and then the book signing will be from 3.00-4.00pm. 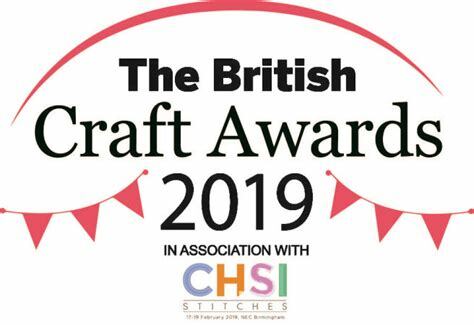 There's no need to book and it's free to come along but there is limited space at the Craft Barn - you can find out more about it here. 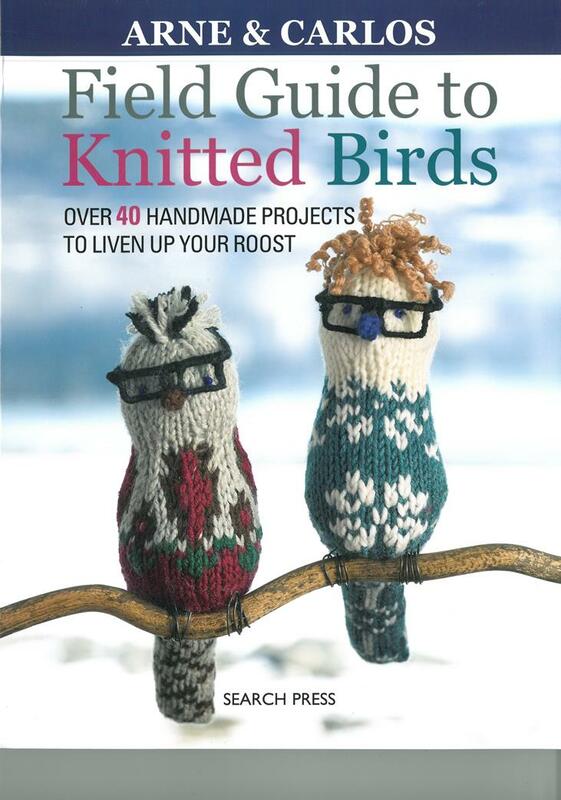 I have to say that the cover of this book tickles me - who would have thought that you could make knitted birds look like Arne and Carlos? I love it! Wow! 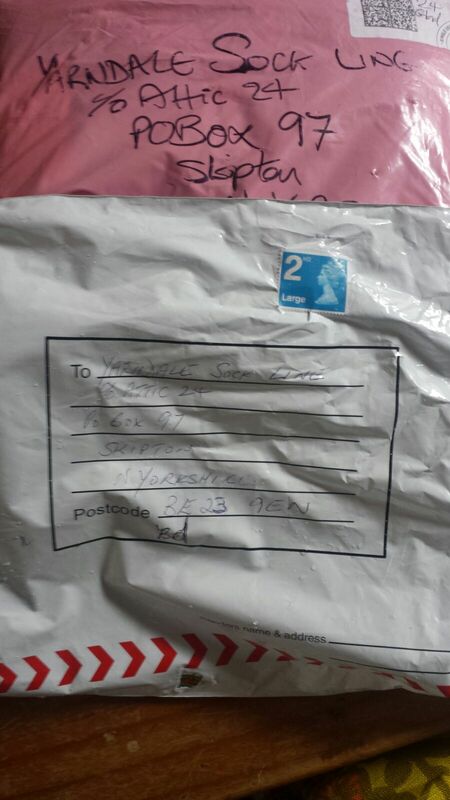 I only wrote about the Yarndale Sock Line on Friday and already there are socks being delivered ... thank you so much! I'll be heading up to see Lucy in Skipton in a couple of weeks so I'll look forward to opening those parcels. 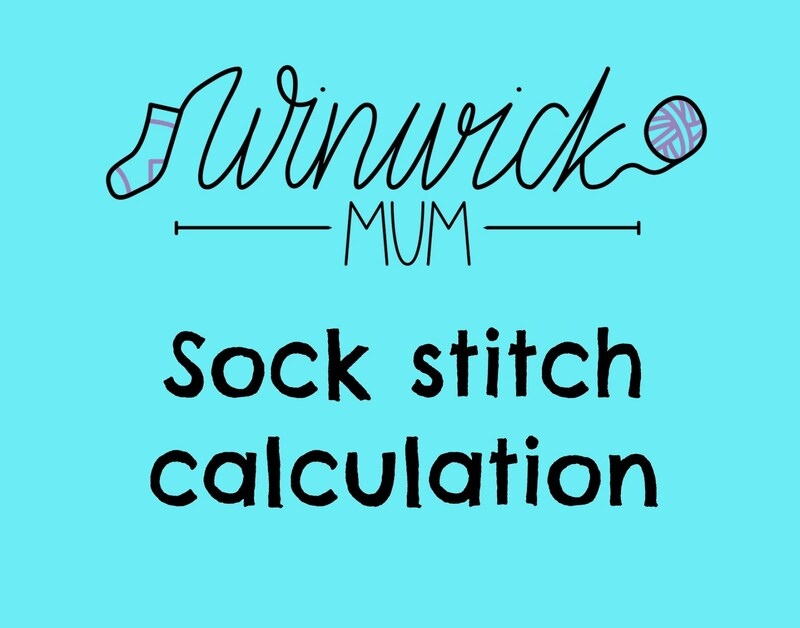 There have been so many lovely comments about the Sock Line in response to the blog post and social media, it's really wonderful to know that it's been so well-received and that you are going to get involved to help make a difference. Thank you! 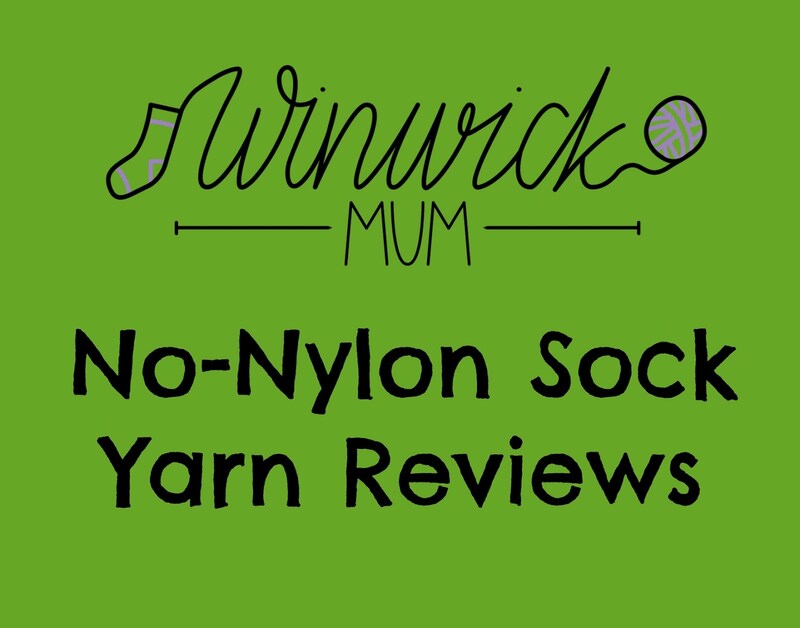 Right then, I'd better get on with a bit of sock filming. I hope you have a fantastic week - stay dry! 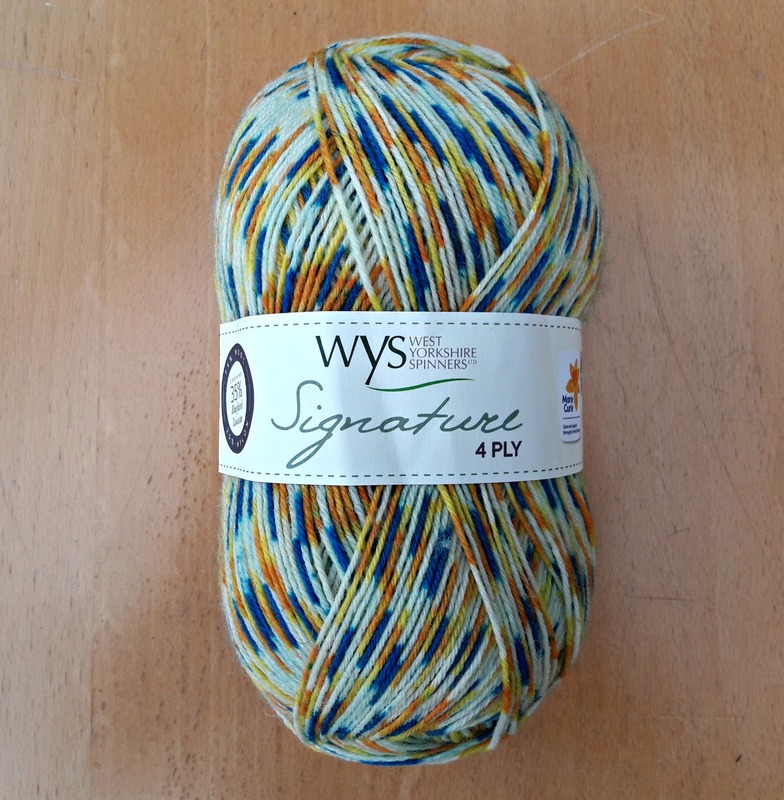 The WYS Marie Curie wool is knitting up superbly. I've just bought my first ball of Arne and Carlos wool for a pair of socks, those little birdies on the book did make me smile. Enjoy youor time spent with them. Have a good week sorting out!